Every relationship has its own rules. Mostly implied, sometimes spoken. 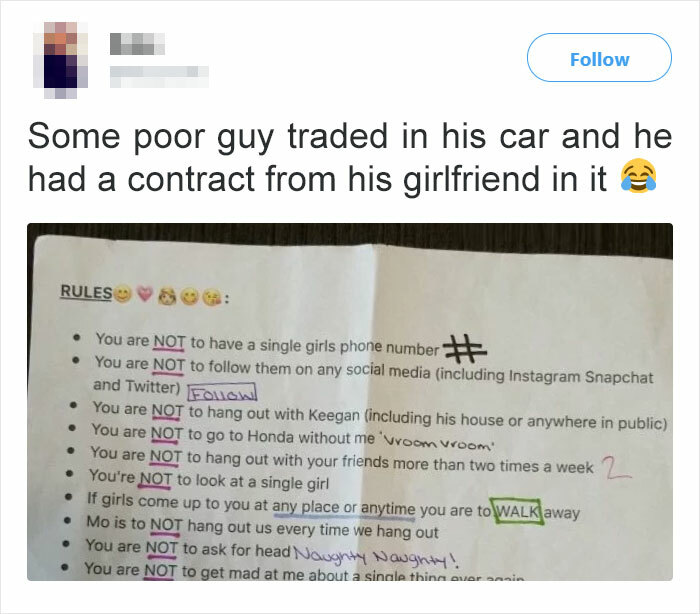 But one woman decided to put it in writing and list every demand she had for her boyfriend. The insane agreement probably would have remained between the two of them, if it wasn’t for a surprising turn of events. The guy traded in his car and left the “contract” inside. Later, Twitter user @kkeyes96 found it and uploaded it online. As it went viral, men all over the internet had moments of silence for their brother, hoping he eventually dodged the biggest bullet of his life. In another twist of the bizarre story, @kkeyes96 had to end up deleting the post. “Too many people who couldn’t read” had mistakenly thought his girlfriend was the author of the list and started to talk trash about her. 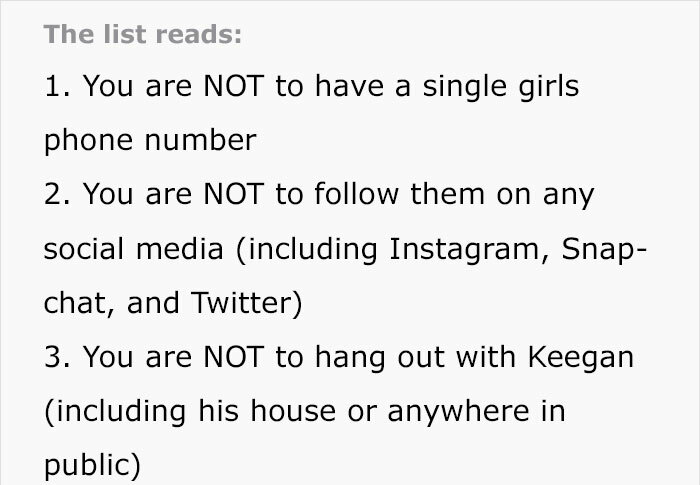 Scroll down to read the rules and tell us in the comments if at least two of them sound reasonable.